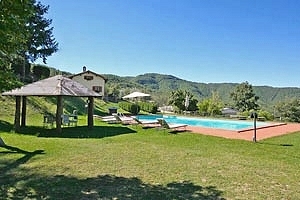 The small stone villa is located in Valdichiana, a region in eastern Tuscany rich in castles. 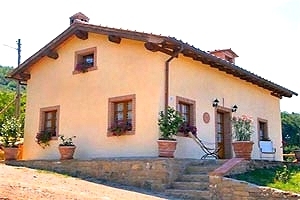 Staying at the villa, guests have the opportunity to visit the 12th-century castle of Gargonza - where Dante Alighieri spent several days in exile -, the castle of Sorbello - that stands near Cortona and dates back to the 10th century - and the castle of Calcione - which is part of a large estate in the municipality of Lucignano. 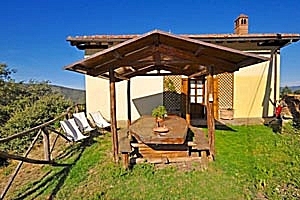 The beautiful small villa stands in scenery location near Cortona (Arezzo). 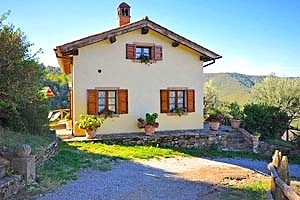 The windows and the garden afford wonderful views of the surrounding hills. 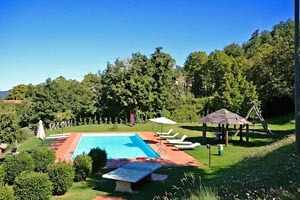 A garden equipped with a children's playground, a barbecue, tables and chairs stretches around the house. 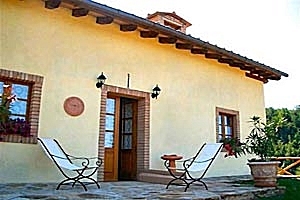 An outdoor area is furnished with table and chairs for having meals in the open air. 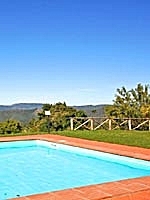 The private swimming pool (14x7 m; depth: 2.40 m) is in front of the house and overlooks the valley below. 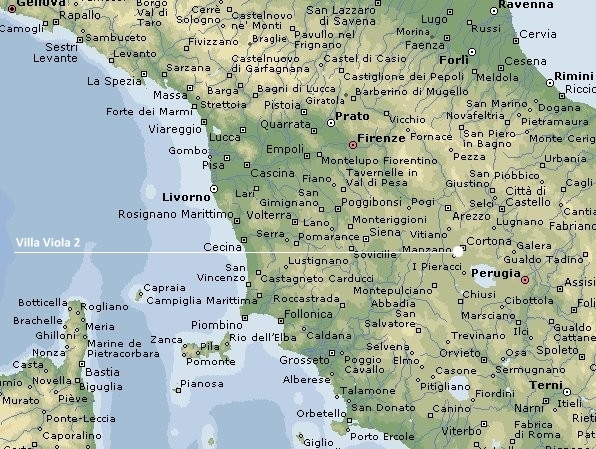 Cortona, Arezzo, Montepulciano, Pienza, Siena and many other tourist destinations in eastern Tuscany are within easy driving distance, as well as Lake Trasimeno. 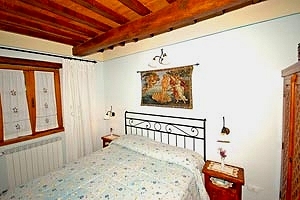 The small villa can accommodate 7 guests in 2 double bedrooms and 3 single beds, and has 1 bathroom. 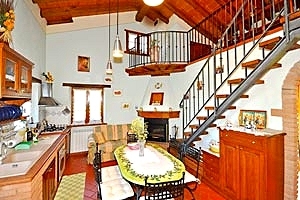 On the ground floor are the living room with a kitchen corner, the dining area and a fireplace, two double bedrooms and a bathroom with shower. 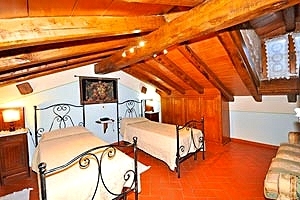 Three more single beds (one just for a child) are on the loft open onto the living room. 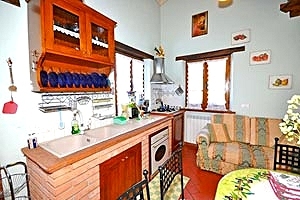 The small villa comes with swimming pool, table-tennis table, children's playground, barbecue, fireplace, Internet connection, satellite TV, DVD player, oven, freezer, microwave oven, dishwasher, washing machine, iron and ironing board, cot bed and private car parking area. A cook is available upon request.